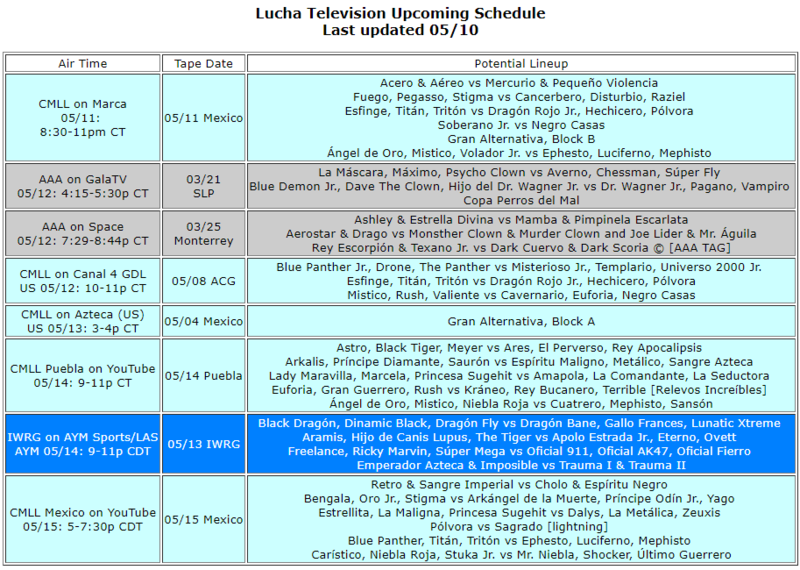 The Gran Alternativa continues on CMLL Claro. AAA is just getting to the Monterrey taping on Space. Tuesday’s CMLL card looks especially painful.